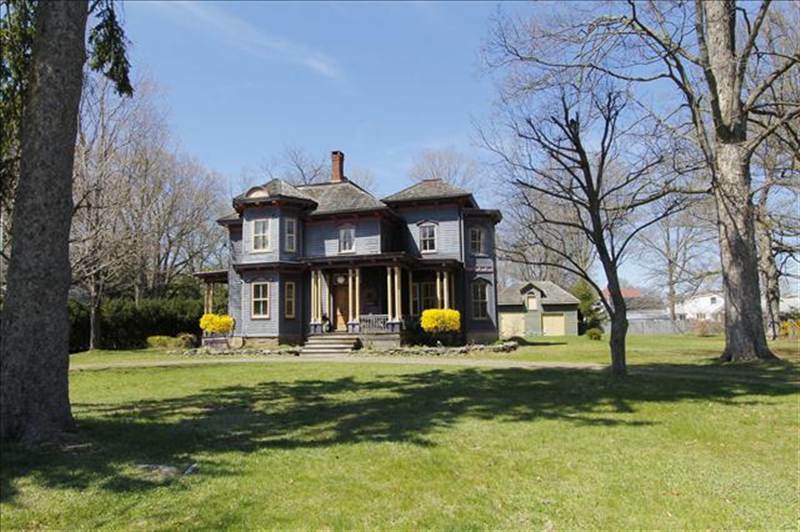 Architectural treasure in the heart of Rhinebeck Village, well sighted w/ a semi circular drive. A spacious house with circular room to room flow, with 6 projecting tripartite bay windows and full of light. Arches, 4 marble fireplaces, orig. hardware, ceiling medallions,orig light fixtures, all plaster house, a soft coal stove, orig.authentic 1870 F.P. mirror, with an 1840 Federal wing which includes kitchen, bath, bedroom. Catalogued by the Rhinebeck Historical Society as a genuine historic property.